Dining Experience in Washington, D.C.
Home / United States of America / Dining Experience in Washington, D.C. In United States of America, Washington, D.C.
New to the place? If your answer is ‘Yes’ and you are a frequent traveler who wants to have a memorable experience. It is a deadly sin not to try the food the place offers. So when I was in The District, I made sure to have a dining experience in Washington, DC. At first, I tried the cuisine which I missed a lot. That is of course, the Filipino food since I find Filipino cuisine comfort. I was craving for Pinoy foods for quite some time since we don’t have any Filipino restaurants in Southeastern Ohio. My friend who lives in Washington, DC for years told me to try this restaurant few minutes taxi trip from Embassy row. Then, we got to this restaurant. The place was warm and welcoming. My friend and I went upstairs to check and we got a table for 2. 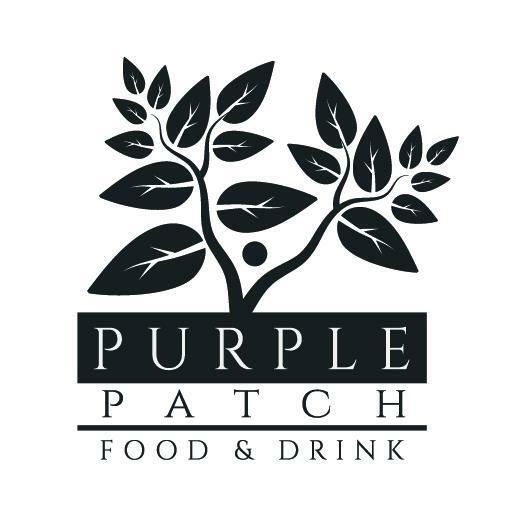 The name of the restaurant is Purple Patch, check their site here. When I was about to sit down, I saw this lady sitting and eating her food just at the other side of our table and when I saw her face, I found her face familiar. My friend told me she is one of the owners of the restaurant and her mother is a Filipino. When I checked the walls of the restaurant, I found that she has been featured on a local paper and I figured it out that she was also featured in one of the major newspapers back in the Philippines that somehow I have read. So, I got starstruck. 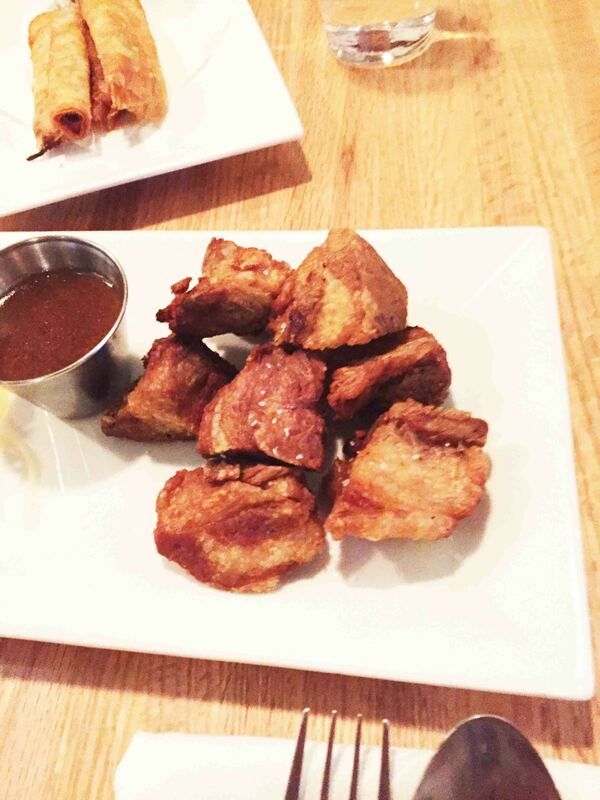 Purple Patch offers appetizers and small dishes, sides, entrees, drinks, and even brunch with a touch of mixed Filipino American dishes. Then, the waiter handed to us the dinner menus. For me, it took me about 10 seconds to decide what to order upon opening the menu. I chose for my appetizer, the Lechon Kawali for US$8 which is a crispy fried braised pork with Mang Tomas sauce and for my main dish, I picked out pork sinigang since that night was a lil bit chilly so I needed a soup to counteract what I felt. 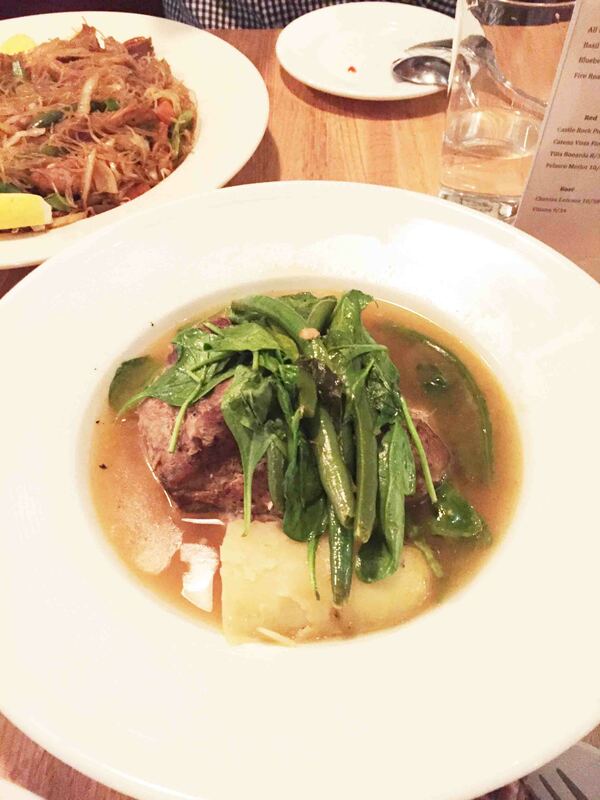 Pork Sinigang cost US$14 which is a traditional Filipino soup comprised of braised pork, lemon broth, potato, long beans & spinach served with jasmine rice. 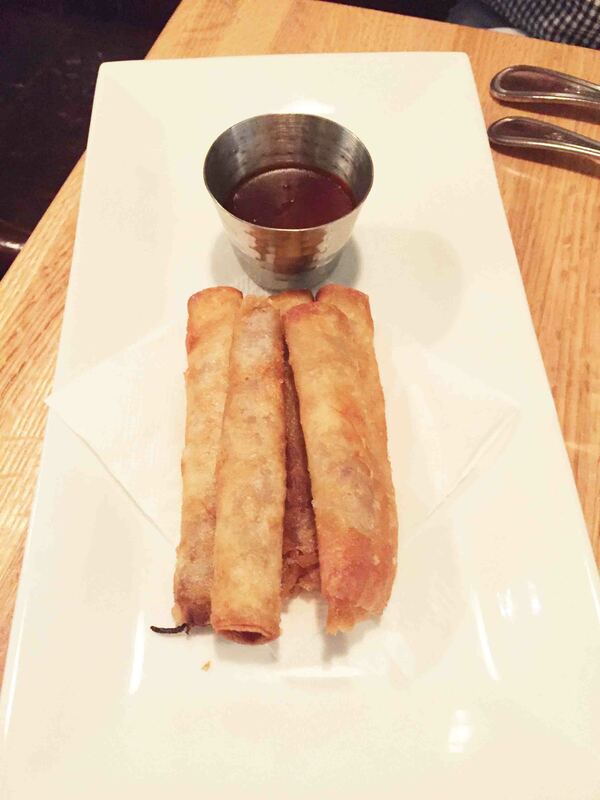 My friend, on the other hand, had selected Mama Alices’ Lumpia which is fried beef and pork spring rolls with banana ketchup dipping sauce for appetizer (US$7) and Pancit Bihon which is thin rice noodles, carrot, celery, sugar snap peas, cabbage & long beans choice of shrimp, pork, chicken, bok choy and shiitake mushrooms for entree (US$17). Now, let’s review the food. Both appetizers were perfect and I can taste a touch of home. While for the main dishes, I was a little bit disappointed with the pork sinigang because way back when my family used to cook it, it should taste sour but it didn’t. It might be due to the use of lemon instead of tamarind. 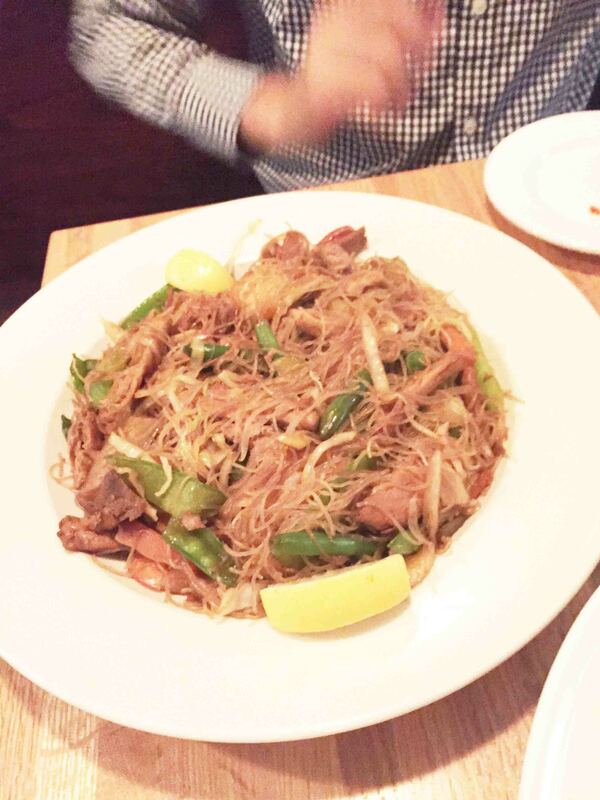 For pancit bihon, it was fine, nothing special to it. Overall dining experience in Purple Patch is a 4/5. The next day, thunderstorm hit The District and I was stuck in 17th Street. My friend came and was soaked. Since we can’t get out of the rain, so, we ended up eating in Noodles & Company. My friend said he used to eat there but it has been long time that he hasn’t dined in Noodles and Company. The place and set-up appeared like a fastfood. There is no one waiting for tables and diners just go directly to the cashier to pay their orders. Location though is very accessible. It is in downtown DC and near to shopping centres, bus stations, and tourist attractions. Check their site here. 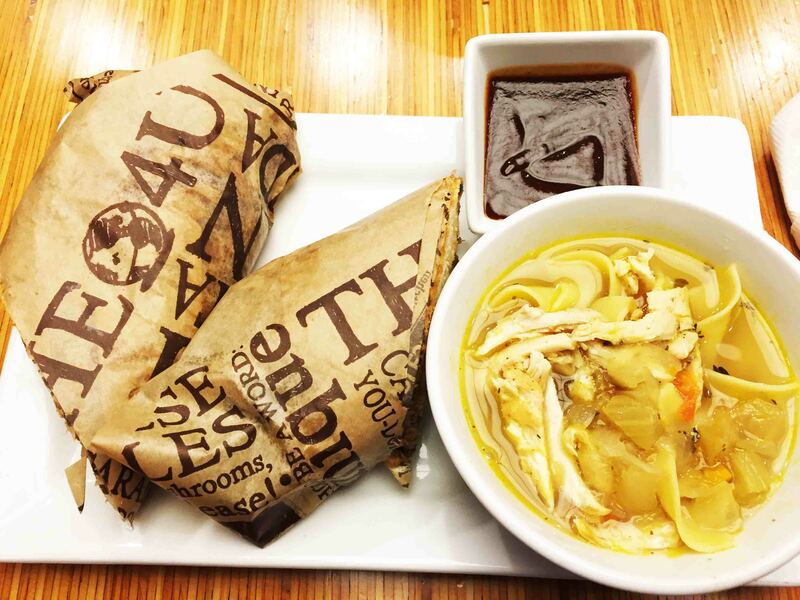 Noodles and Company offers noodles&pasta, soups, salads, sandwiches, drinks, desserts and extras. I ordered Pork BBQ sandwich which is a toasted ciabatta roll loaded with slow-braised pork, colorful coleslaw and barbecue drizzle but instead of coleslaw, I changed it for a chicken noodle soup. The sandwich was perfect. It was delicious and juicy and oozed with flavor. While the soup was good for a kind of weather outside that night. We stayed in the restaurant enjoying our meal until the storm stopped. Overall dining experience in Noodles and Company is 4/5. After we finished our dinner, my friend told me that there is this one place that he enjoyed eating desserts. It was in a posh neighborhood in Washington, DC. 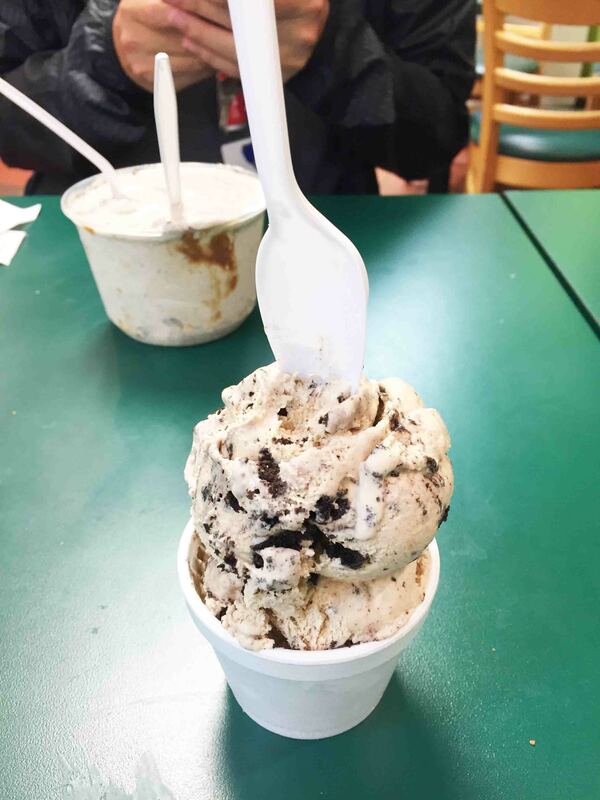 The ice cream shop is in Georgetown where most notable and famous icons such as Thomas Jefferson, Alexander Graham Bell, John F. Kennedy, and Elizabeth Taylor used to live. 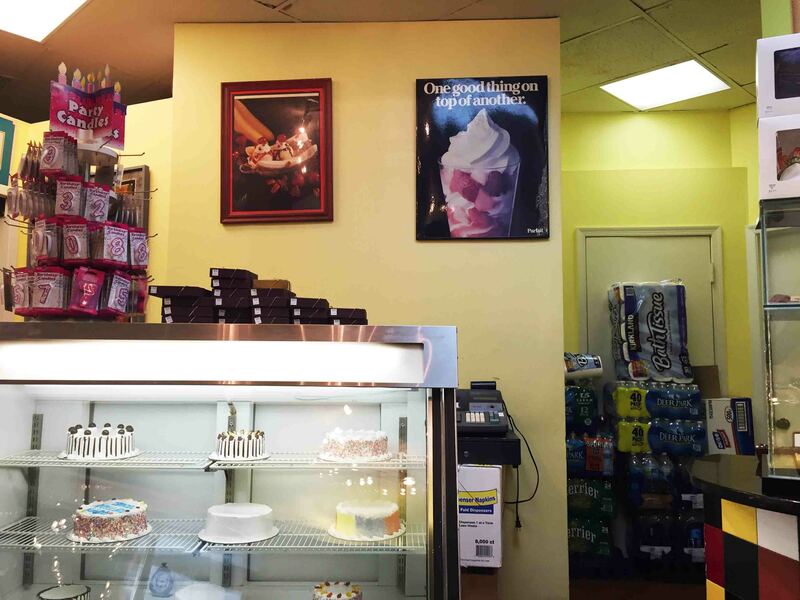 The ice cream station is also a well-known dessert shop. That is the Thomas Sweet. Even the current president of the United States, Pres. Barrack Obama, eats here. If you want to check what flavors of ice cream they have, you can check their site here. When we got there, the shop was half full, so we got the chance to grab a seat and table to enjoy our ice cream. I got cookies and cream. Few minutes when we got settled, the queue for customers stretched until outside. We got lucky we came early. The cookies and cream flavor was OK. The same taste as what I used to get from cookies and cream from other ice cream shops. I haven’t tried other flavors yet but they looked mmmdelicious. Location is perfect for travelers or customers doing some shopping, dining in restaurants or having fun in bars in Georgetown. The price was reasonable for such location. Overall dining experience in Thomas Sweet was 5/5. On my third day in The District, I woke up late around 1000H. I was craving for noodles, the Asian style. Since I stayed in Hostelling International DC which is near Chinatown. I have decided to have an Asian cuisine noodles and ramen was on the top of my taste bud. I walked from where I stayed to Chinatown and I found a popular ramen restaurant. 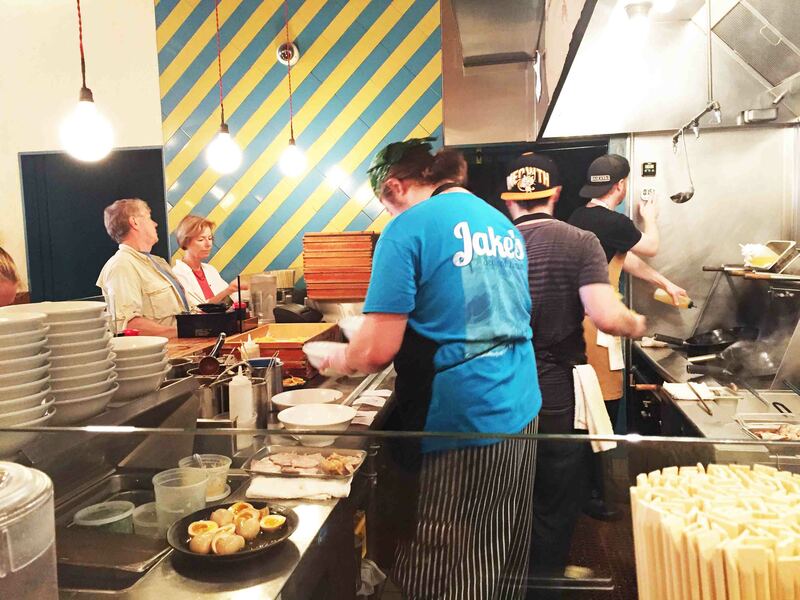 Daikaya is a famous and one of the top 8 ramen restaurants in the DC area. So, I was a bit excited. When I got into the location, the place was jam-packed. But I was welcomed with a waitress and got me a seat where I can see the staff on how they prepare the food. Then, the waitress handed me the menu and I chose the shio ramen. 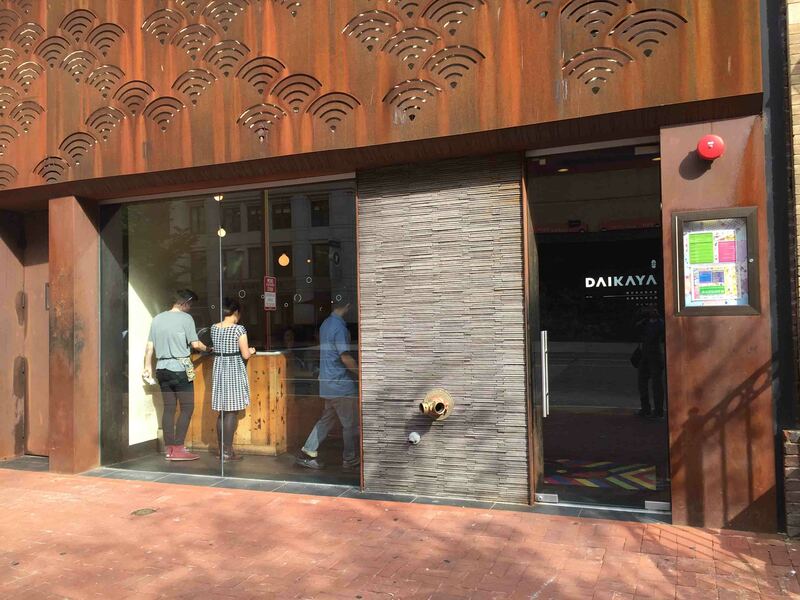 Daikaya offers four types of ramen: shio, shoyu, miso, and vegetarian shio. Check their site here. 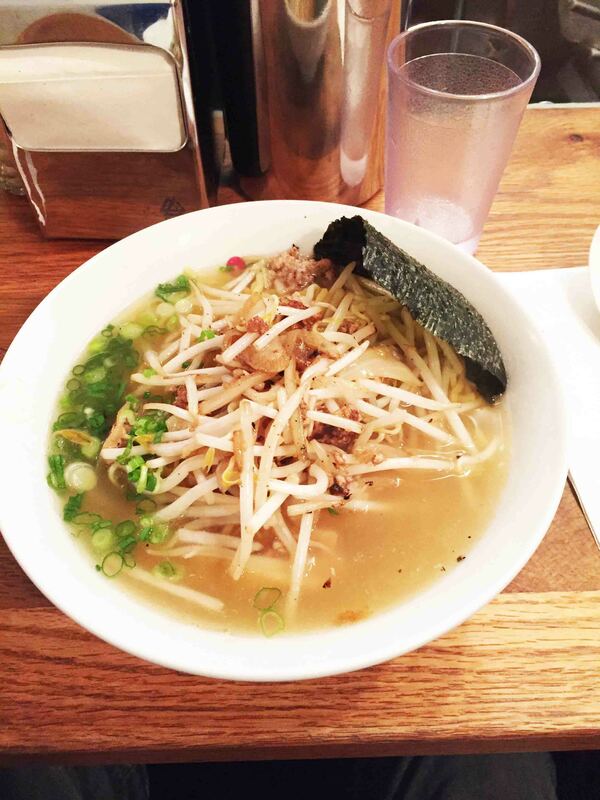 As I got my order, the shio ramen looked perfectly mouth-watering that I just want to dip in my soup spoon. When I tasted it, it was so good even though I found something missing from it but I still find it perfect. I enjoyed my lunch and got to communicate with other customers. 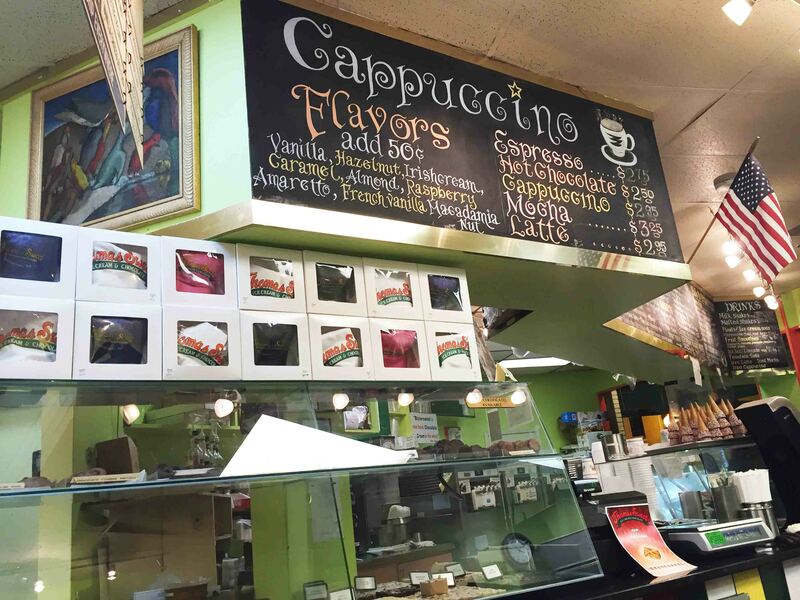 The restaurant was better with regard to customer service, food quality and almost everything.The waitresses were friendly and accommodating. When I finished eating, I saw the queue just outside the door of the restaurant. It only means that a lot of people love the food they serve. 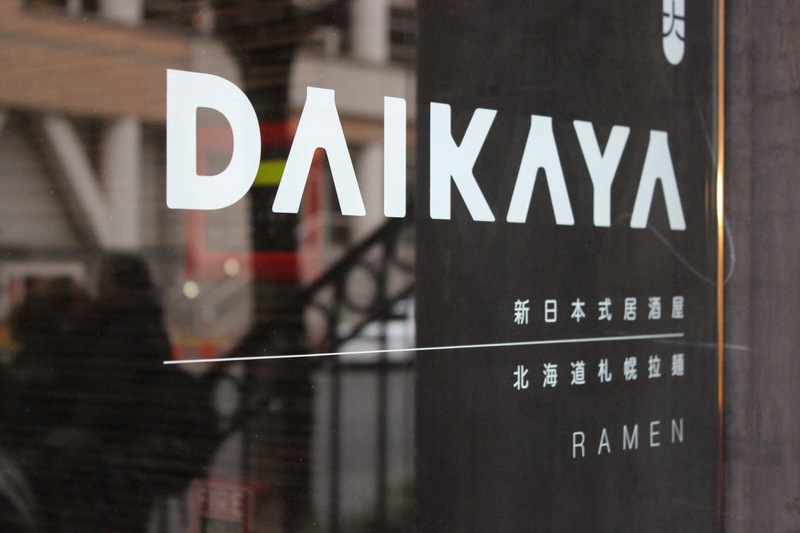 Overall dining experience in Daikaya was 5/5. As a summary, I know that I haven’t done justice for my dining experience in Washington, DC since there are still a lot of good and amazing restaurants. When I come back, I’ll make sure I’ll get to taste other restos yet for now, I’ll leave it to 4 restaurants. See you soon Washington, DC. Affordable Place to Stay in Washington, D.C.United States of America, Washington, D.C.
Passport Renewal in Philippine Embassy in Washington, D.C.United States of America, Washington, D.C.